More than 80% of the population in the country are Dutch; the minority are Surinamese, Moroccan, Turkish, Antillian, and Indonesian. The Dutch is the race derived from the Germanic and Gallo-Celtic people. The official language spoken by the majority of the people is Dutch. Frisian, which is one of the official languages of the country, is spoken by the people of the northern Friesland province. Some people speak German, French, or Italian. Christians account for about 51% of the Dutch religions. Muslim comes at the end, accounting for about 5.5%. Close to half of the Dutch (about 41%) profess no religion or religious affiliation. 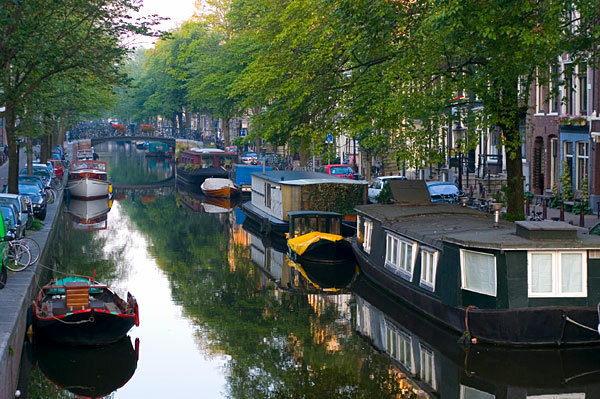 The Kingdom of the Netherlands is a country with a lively mix of tradition and fast-paced lifestyle. The Dutch have good sense of humor; enjoy life to the fullest, and are known for their tolerance and enthusiasm despite their country's strait-laced and interesting past. The country provides fun and excitement to its visitors. Much of the Netherlands lies below sea level, yet a great deal of its land mass comes from reclaiming the sea. Overall, the country is considerably flat. The country is a parliamentary democratic constitutional monarchy with a Monarch presiding over its bicameral form of government. The Upper House is made up of representatives from its twelve provinces. The Lower House is made up of representatives directly elected by people. There is a municipal council in every Dutch city. 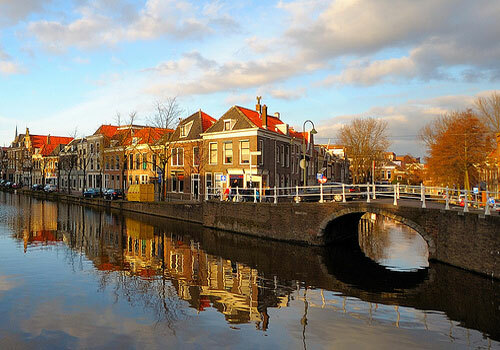 The Netherlands is a good place for those who enjoy life's pursuits, be it in sports, culture, or the arts. The Netherlands is located in northern Europe. A wonderful and unique country on its own, it has many beaches, canals and rivers in every beautiful city. The topography of the country is interestingly flat and low. The highest point is only about 321 meters above sea level. Most areas in the country today are the result of land reclamation since these areas were originally below sea level. Sea walls and dikes protect the Netherlands from being inundated with sea water. Amsterdam, the capital of The Netherlands, has about 730,000 residents, Rotterdam follows with 600,000 people and The Hague is third with about 450,000 inhabitants. Holland is just two of the twelve Dutch provinces found in the Netherlands. The Romans occupied the Netherlands from the first until the fourth century when the Romans were overthrown by the Germanic tribes. By the fifth century, the Franks dominated the land. The following centuries saw the rise of the Guelders, the Burgundy in the 14th century and the country was eventually under the reign of Emperor Charles V in the 16th century. During Charles' son Phillip II of Spain's rule in 1581, the movement for independence from the country's seven Northern Provinces arose, led by William the Silent. The thirty years war ensued, ending with Spain's recognition of the Dutch Republic in 1648. 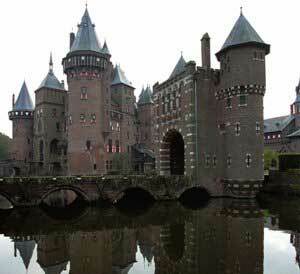 The Netherlands prospered during the 17th century, acquiring overseas empires and international trade links. In 1775, the region fell under revolutionary French rule until the defeat of Napoleon in 1814, forming the Kingdom of Netherlands. Several revolts occurred in 1830 and in 1831. The Southern Regions broke away to form Belgium and Luxemburg in 1867. The Netherlands remained neutral during World War I, yet was occupied by Germany during the World War II. Amsterdam is one of the most historic cities in the Netherlands. The city can easily be toured by bicycle since it is predominantly flat. Traveling this way will give the tourist the opportunity to appreciate and sight-see the city's canals and nearby places. A culture of art dominates Amsterdam. Two of the Netherlands' famous museums, the Van Gogh Museum and Rembrandt House, are located in the city. The works and collections of 17th century Dutch artists like Rembrandt, Vermeer, and Frans Hals are showcased in Rijksmuseum. In keeping with the Netherlands' rich history, one famous landmark is the museum of the attic that became the home of Anne Frank, where she and her family hid from the Nazis during the 1942 occupation. This museum is open to visitors. Ms. Frank's celebrated diary is still well-preserved and on display in her house today. Tourists and visitors wanting to fully maximize their experience while in the Netherlands might consider having an Amsterdam card, allowing them free use of public transportation and discounts on restaurants, museums, and attractions. Nightlife in the Netherlands can be an exciting, unique and fun experience. There are sophisticated nightclubs, discos, bars and cafes all around its large cities. There are also theaters and movie houses in all major cities and towns around the country. Theater and the arts are popular and are fast becoming the Dutch way of life. 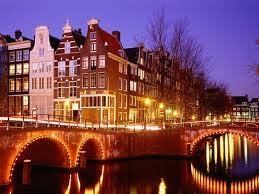 Amsterdam is a sophisticated city complete with some of the dynamic and cosmopolitan lifestyles found in Europe. Like Amsterdam, there is also a wide selection of nightclubs, cafes and restaurants in Rotterdam. The Hague relies solely on dance and theater. Utrecht has vibrant and high-stakes casinos on top of its interesting nightlife usually catering to its large student population. Tobacco smoking is prohibited in most of these establishments around the country. 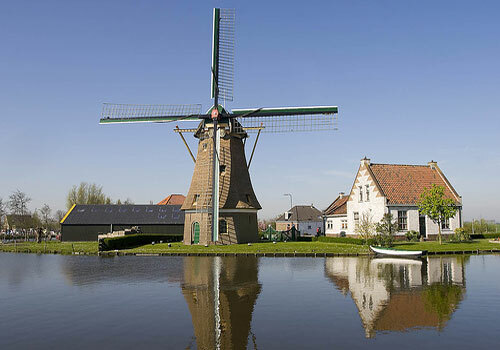 The Netherlands has a diverse culture due to regional differences as well as foreign influences brought in by the merchants during the early times of Dutch history. The country's main language is Dutch while Frisian is also a well-recognized language and often used. The other Dutch dialect is Limburgish. Calvinism is a way of life in Dutch culture because of its simplicity. Sint Nicolaas, or Sinterklaas, is a very traditional and popular festivity in the country. It is celebrated during the evening before December 5, quite similar to the celebration of Christmas Eve in other countries. Other popular traditions are the Easter celebration and the feast of Sint Maarten. Rather than elegant, Dutch food is wholesome and hearty, characterized by employing more vegetables rather than more meat. Dutch cuisine is limited in variety and differs from region to region. Varieties of cheeses like Edam, Leiden, and Gouda are very famous and world-renowned in the Netherlands. Pastries cooked with these cheeses are extremely rich, delectable and eaten in great quantities. Dutch cuisine has wide selections of cookies and pastries, many of which are filled with chocolate, marzipan, and almonds. Huge amounts of cakes and pies are baked and eaten, especially in the southern provinces. For discriminating tastes, you can find restaurants specializing in international dishes in several large towns. Wines are still young and emerging in Dutch cuisine. In the Netherlands, there are varieties of traditional beers and strong alcoholic spirits such as jenever and brandewijn. Legal age for someone to drink beer is 16 years, and someone must be at least 18 years old to drink spirits.